Cushman Motor Company is a long-term authorized dealer for Steiner compact tractors. We sell new Steiner tractors, attachments, OEM parts, factory trained Steiner service and used Steiner equipment. We also rent attachments to Steiner users in the Twin Cities metro area. Who buys Steiner from Cushman Motors? School districts like the South Washington County School District, county governments like Hennepin County and real estate management companies like Ryan Companies – smart customers who see the value in an all-season tractor that can handle multiple tasks. Questions? Call 612-333-3487 | 800-759-5343. Or email us by filling out the form on this page. We demo just about everything. Steiner compact tractor models. Click each image for more detail. Steiner offers over twenty two different attachment including the stump cutter, side discharge mower and high-powered debris blowers (above) and the blade , snow blower and rotating sweeper (below). See the complete list of Steiner attachments right here. 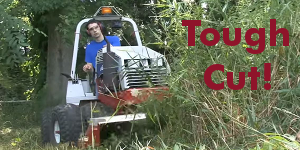 Did you know that Cushman Motors rents attachments for some Steiner tractors? Click here to learn more.